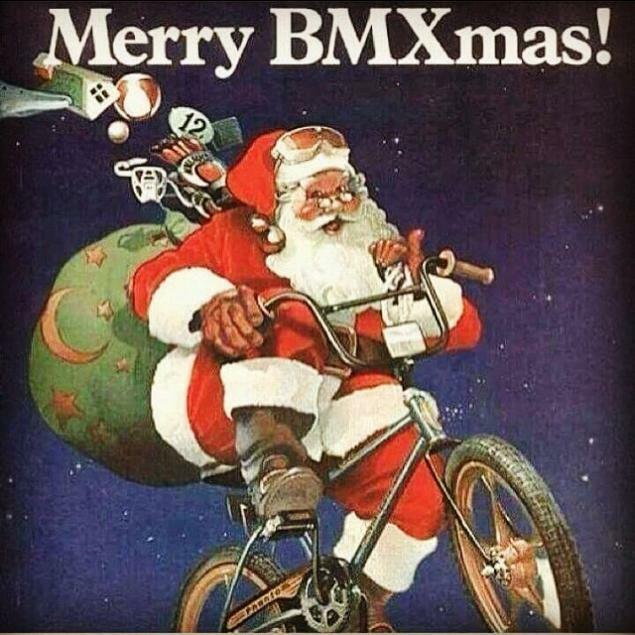 We wish a merry bmXmas to you and your families! We don't want to bore you with just another season greetings post so we looked for a cool story to share. A few days ago from Dec 18 to 20 the FISE World contest in Malaysia took place. Usually the FISE World event don't have a flatland category which is a shame if you ask us. However, Heru Anwari did the right thing and entered the park contest to show some flatland moves. Check this photo on Kayuhbmx. He actually got 7th in the BMX Open Pro class of the contest. Well done Heru! Now back to the Xmas business. Unwrap your presents and enjoy the day!